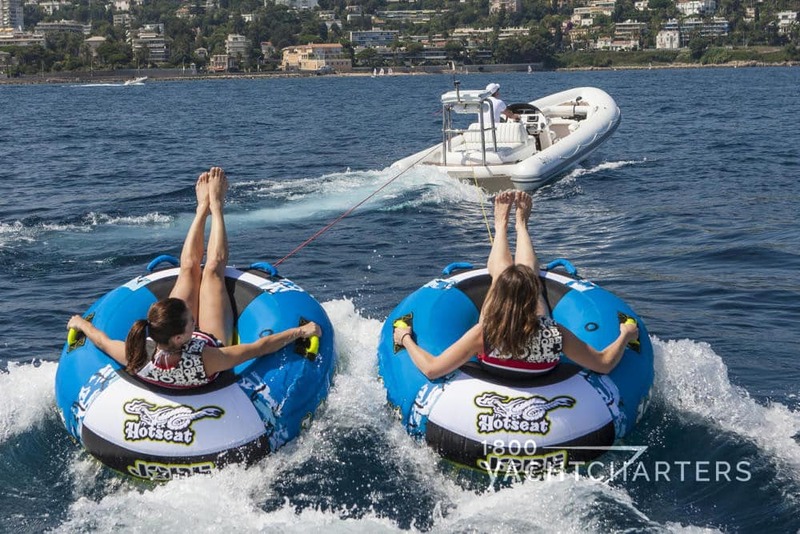 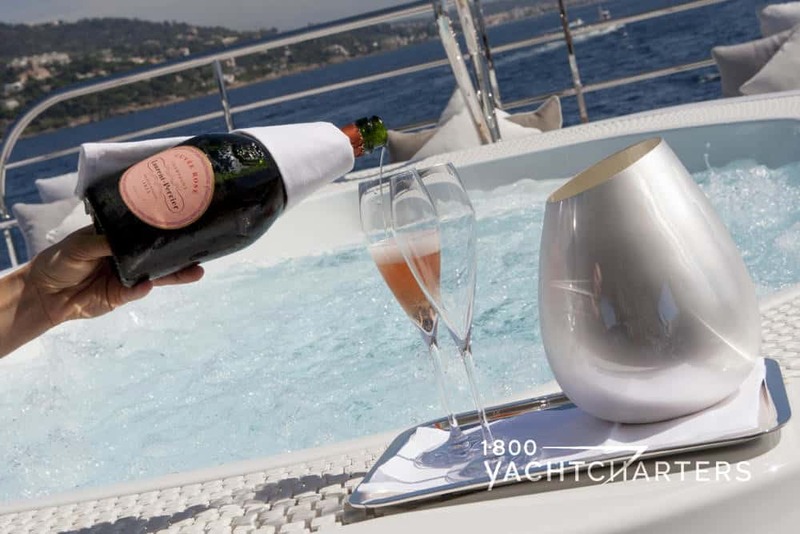 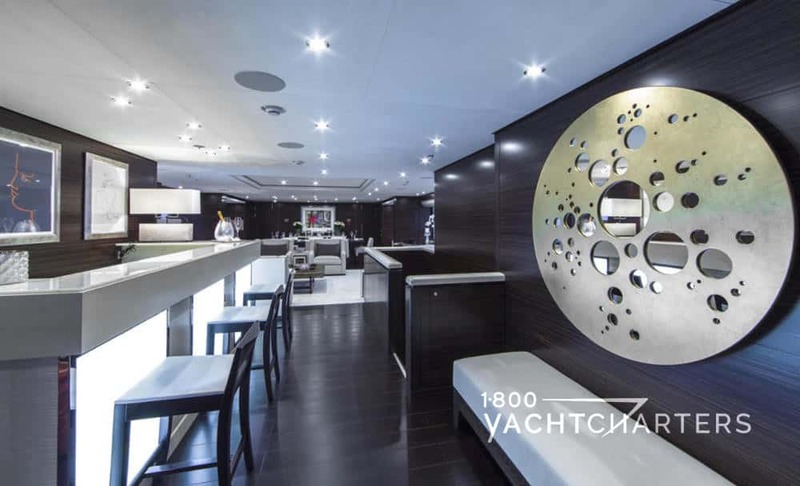 A toast to your Superyacht Experience! 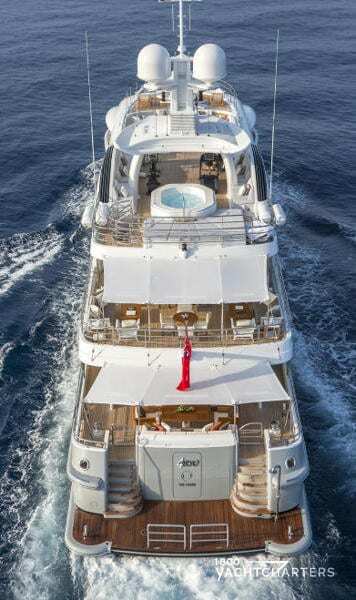 Entering the Mediterranean yacht charter market in the summer of 2012, motor yacht 4YOU is the second spectacular yacht from the Amels Limited Edition 180 series. 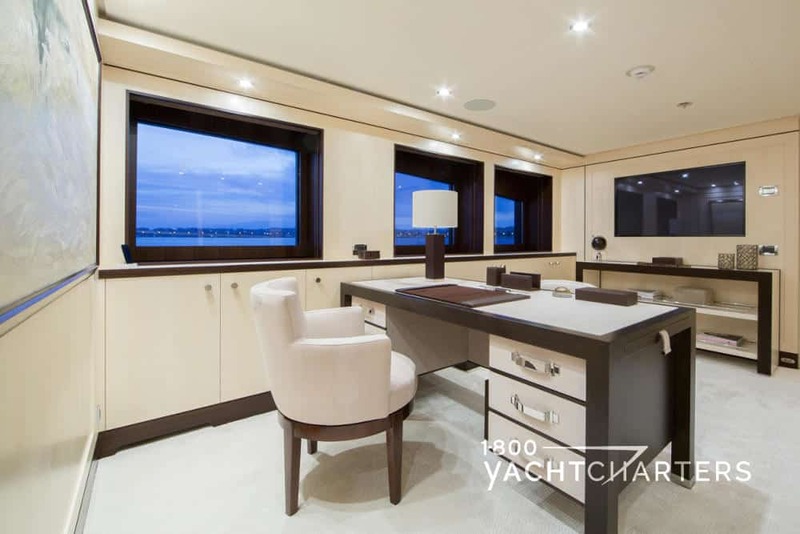 Designed by the renowned Tim Heywood, Amels yacht 4YOU features a stunning modern, chic interior by Laura Sessa Romboli. 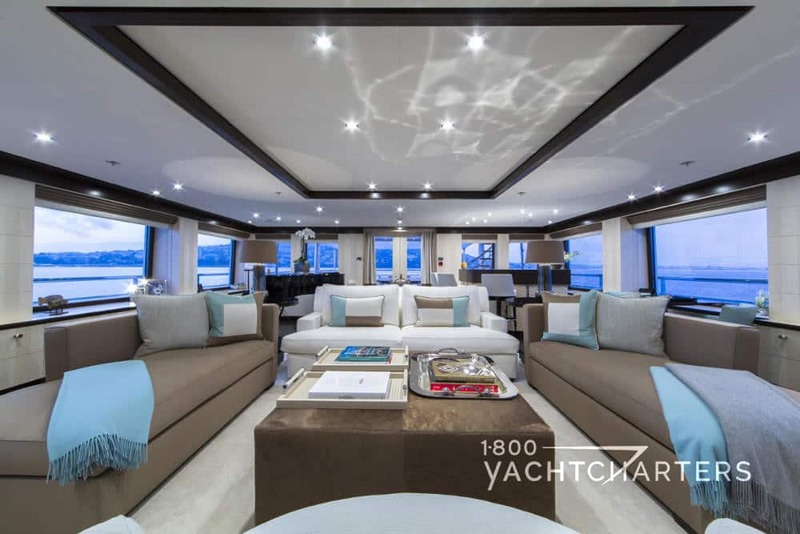 At 660 Gross Tons, this Limited Edition Amels 180 vessel offers the strength, seaworthiness, and the oceangoing magnitude of a, “little big ship”. 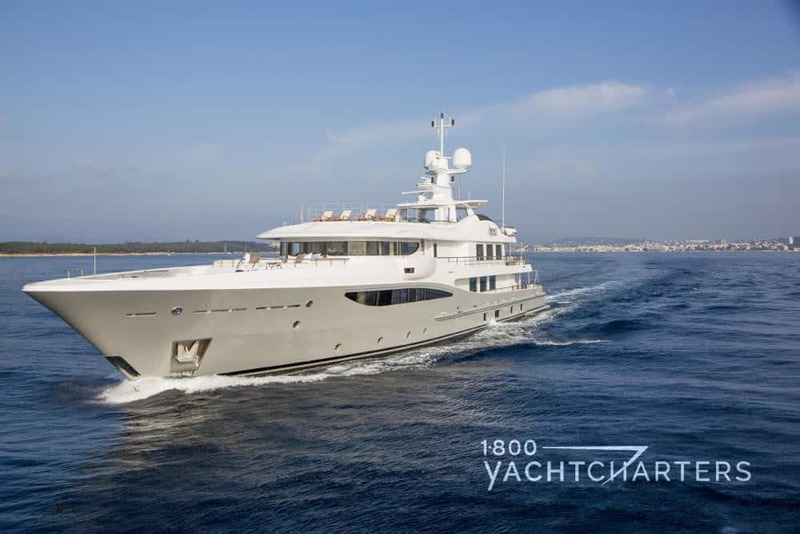 Her graceful shape and streamlined form is sure to turn heads from ports around the globe. 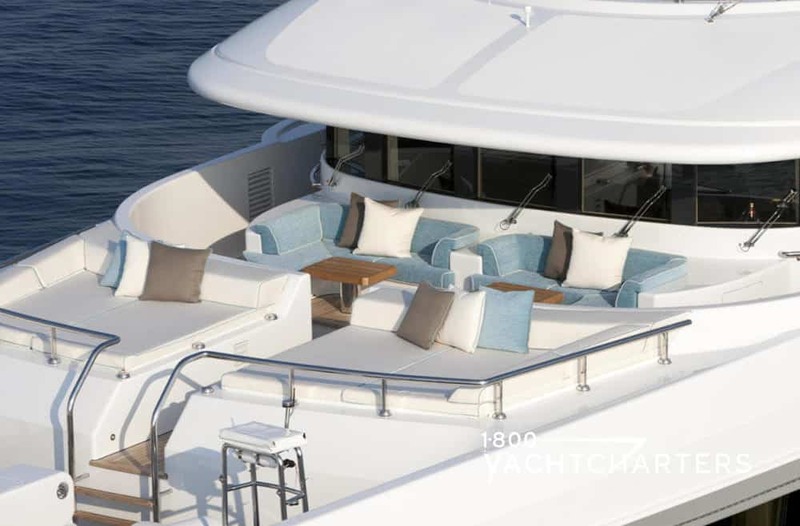 Created for both comfort and convenience, Amels yacht 4YOU presents a high-volume exterior form, with large outdoor relaxation and sunning areas. 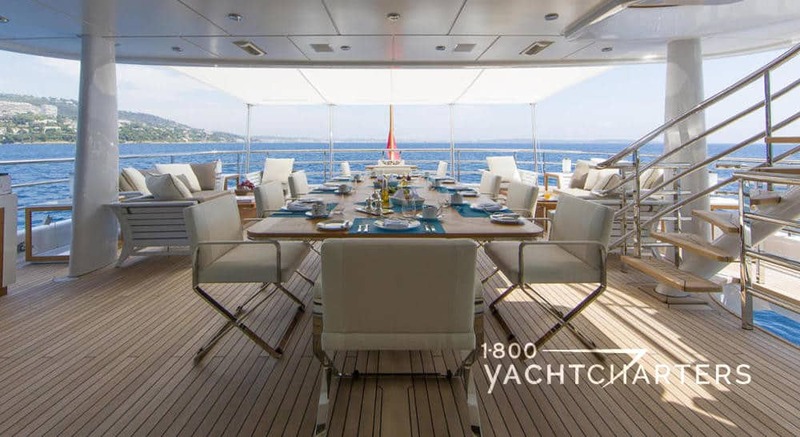 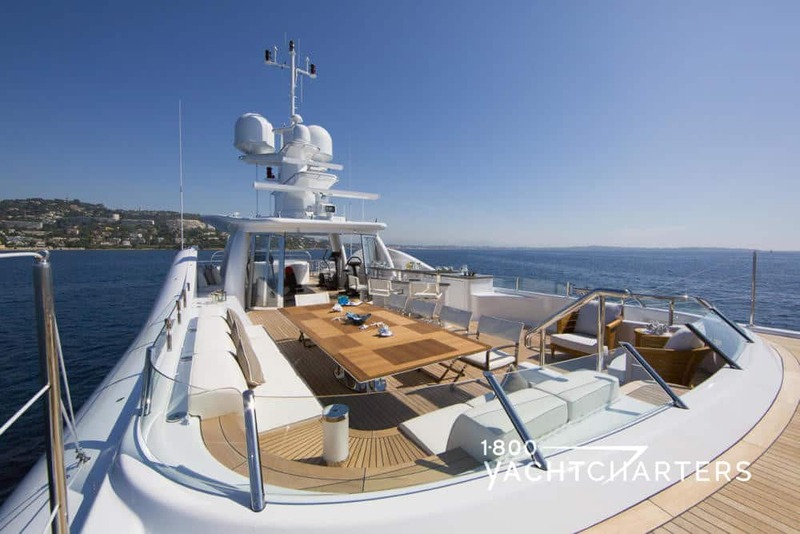 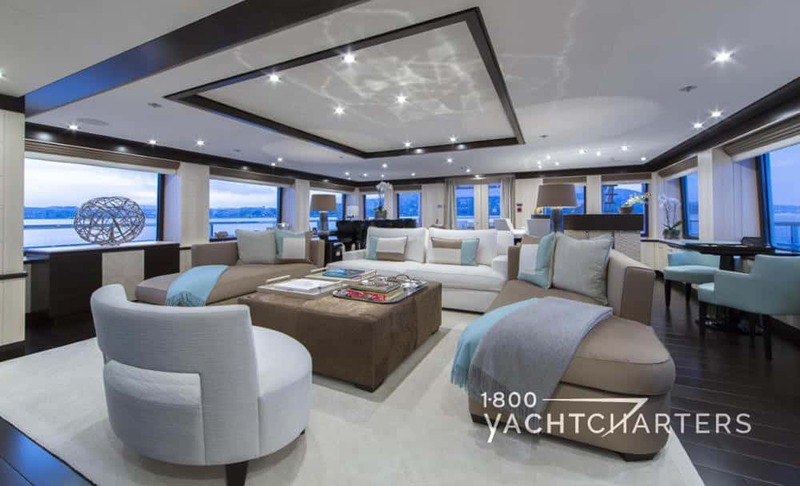 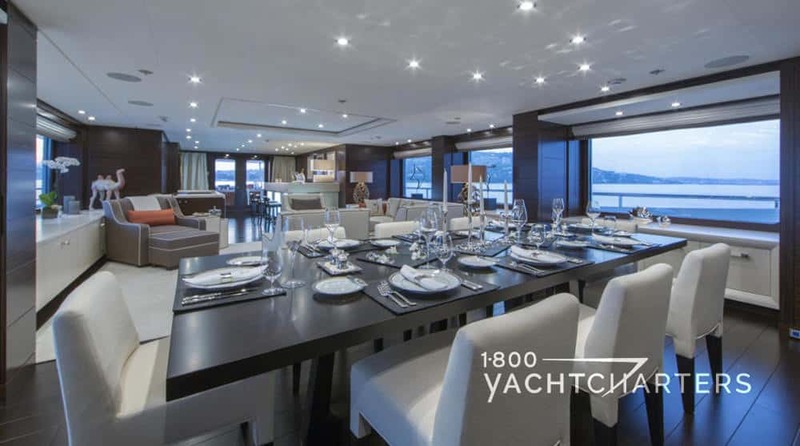 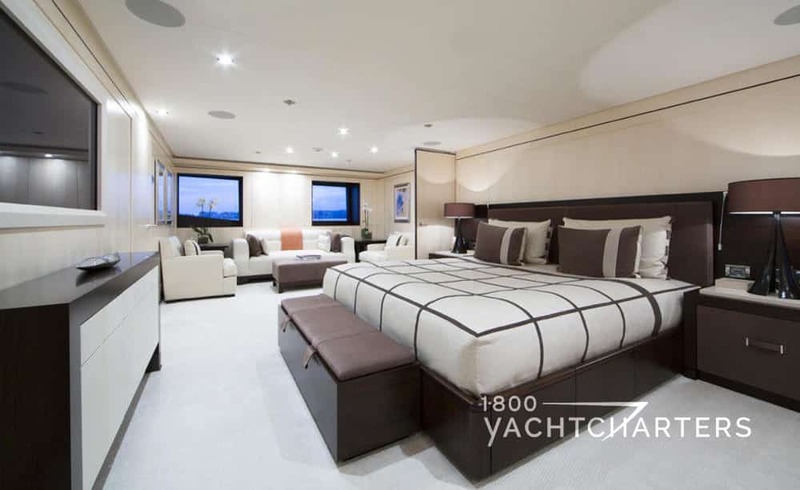 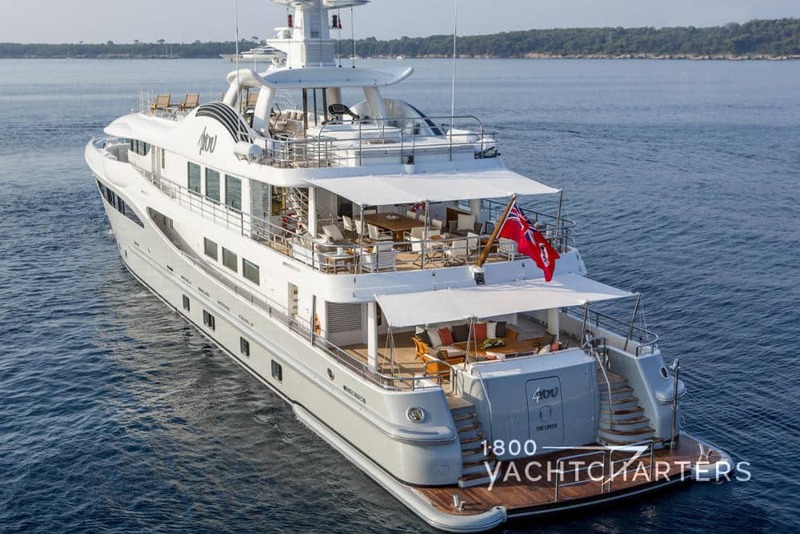 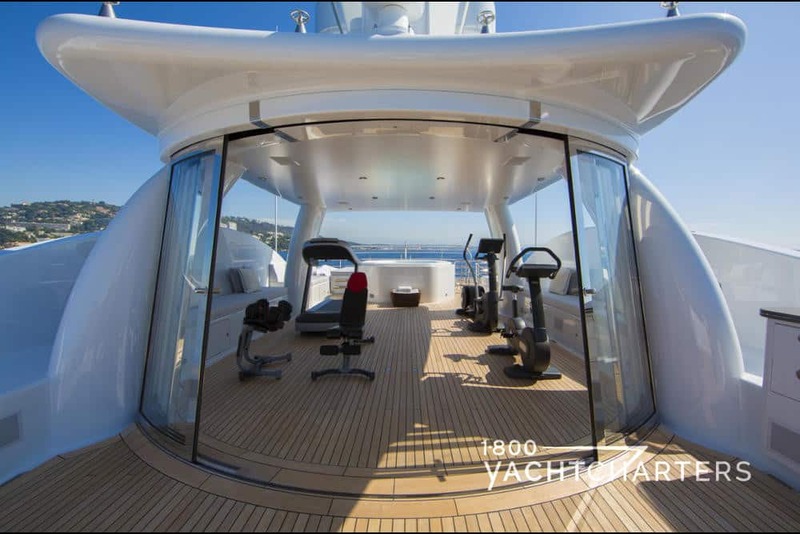 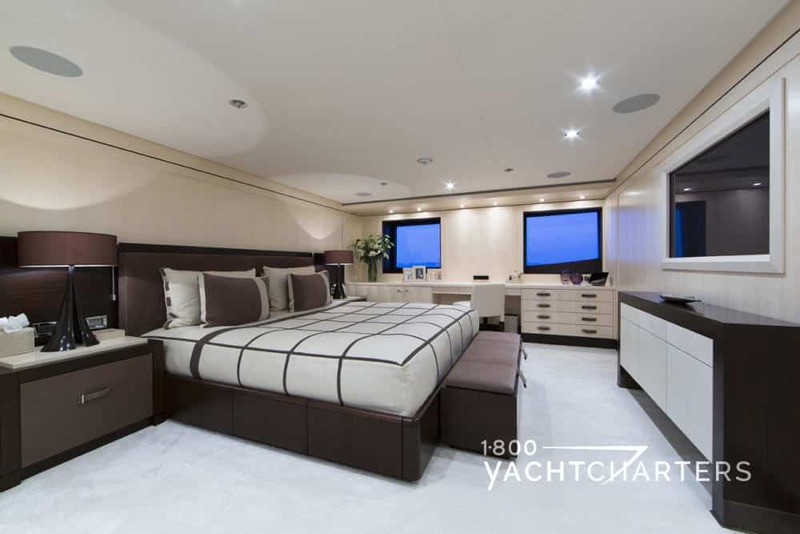 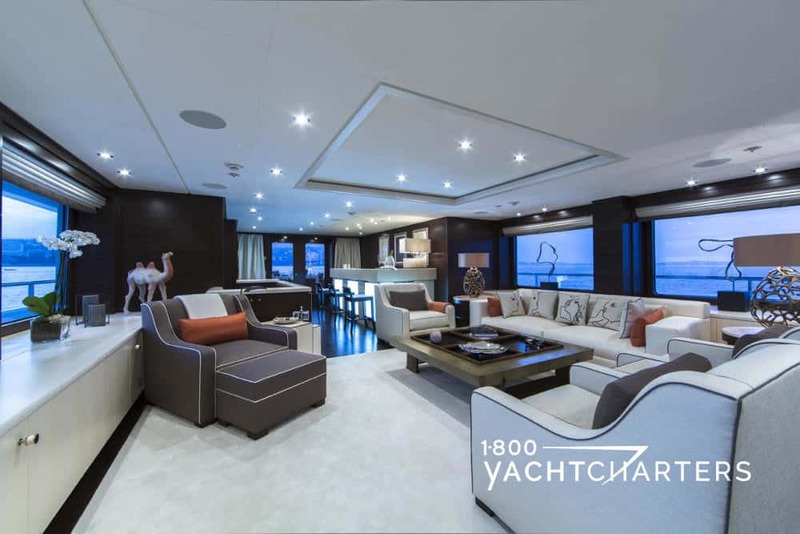 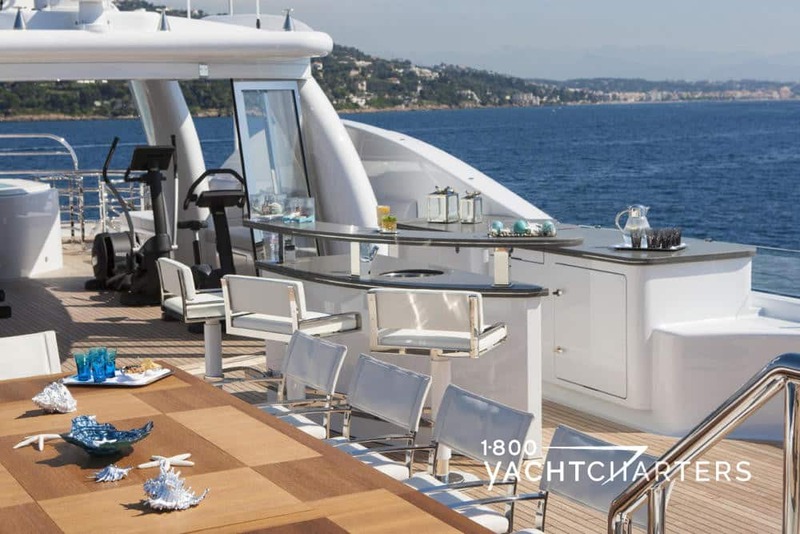 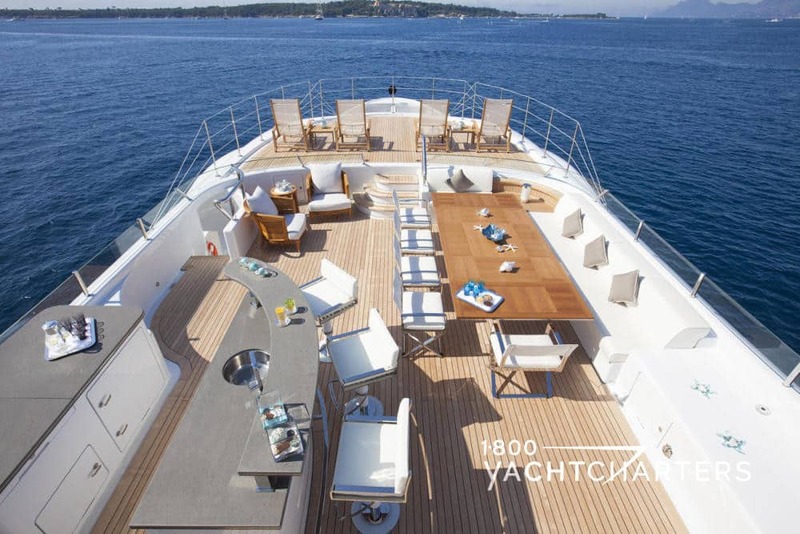 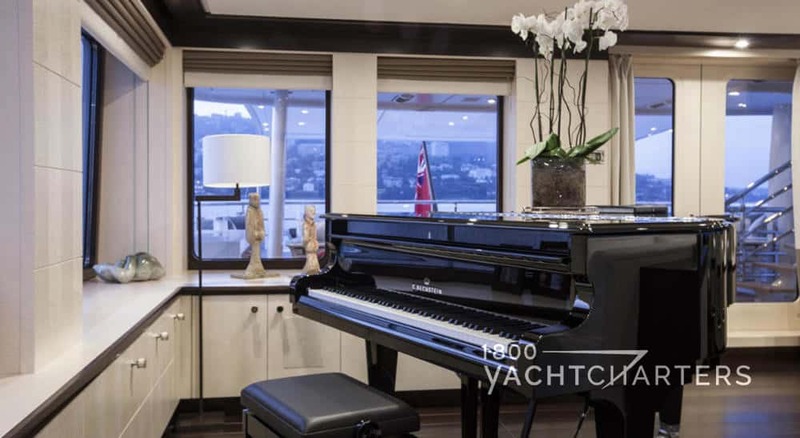 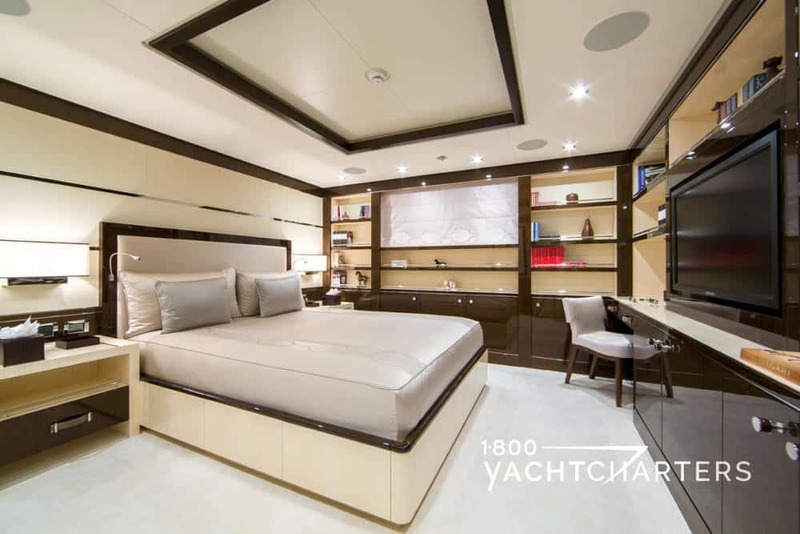 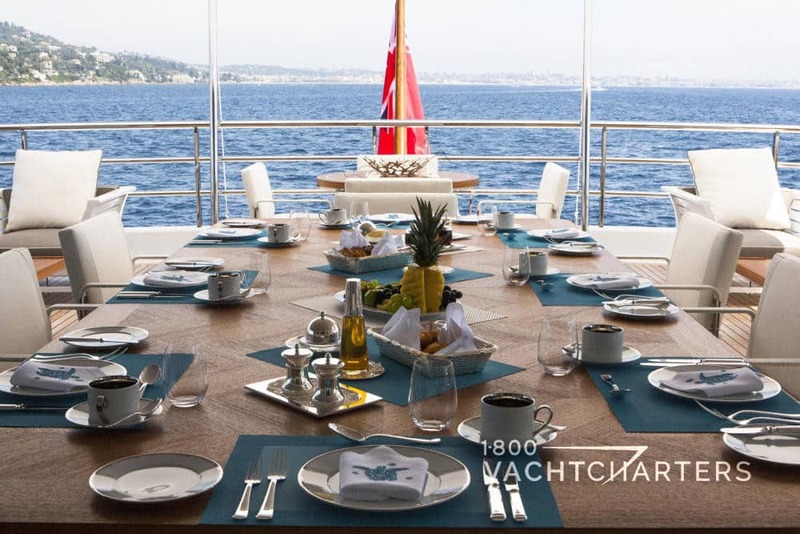 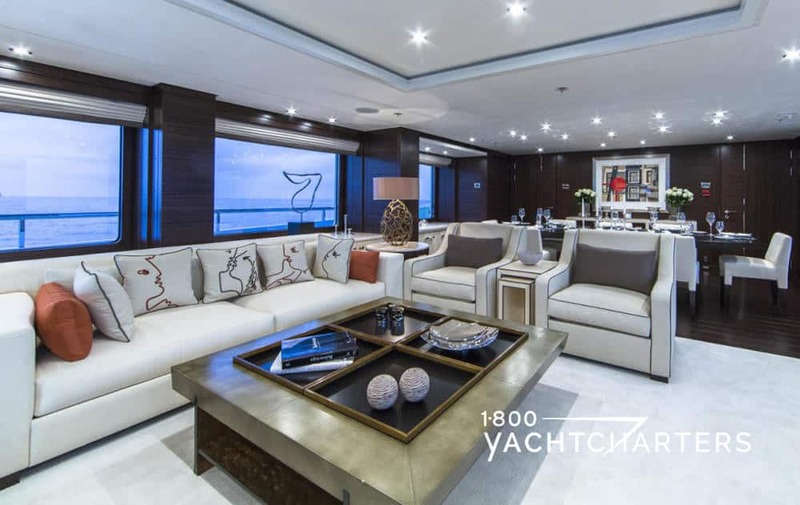 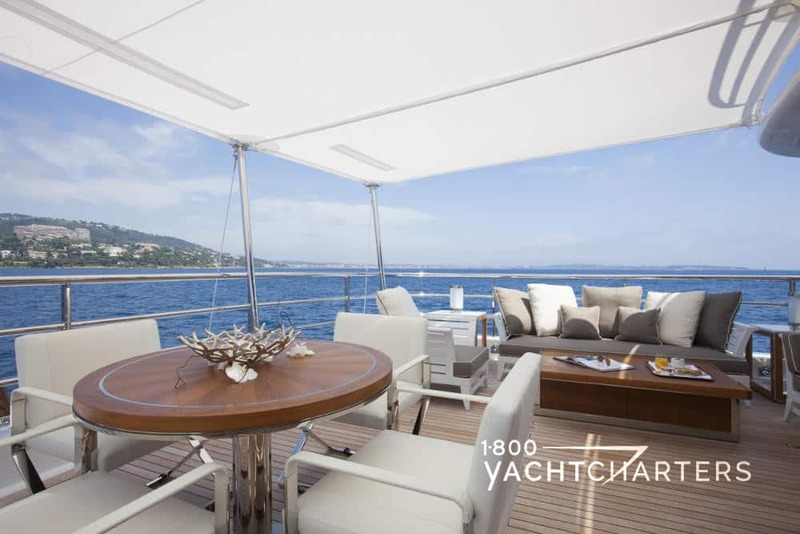 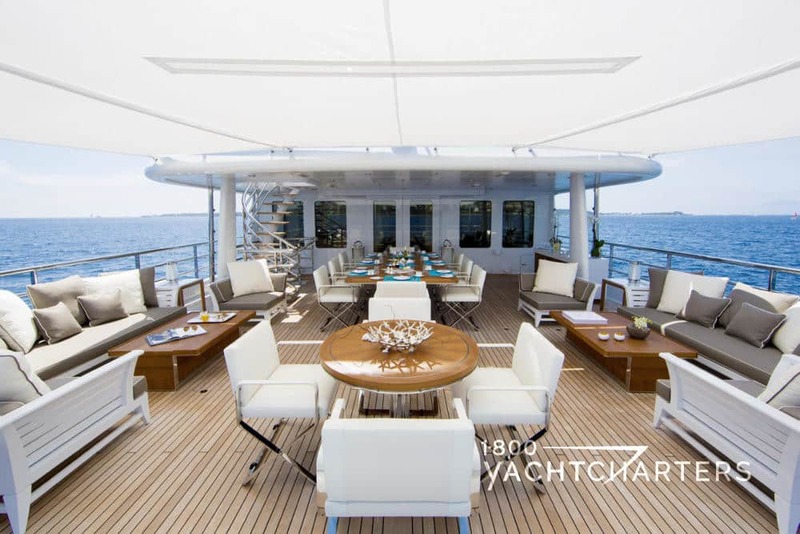 The Owner’s Suite is fitted with a hydraulic-folding balcony, while the Main Deck Saloon features has two balconies, providing easy access to the open air. 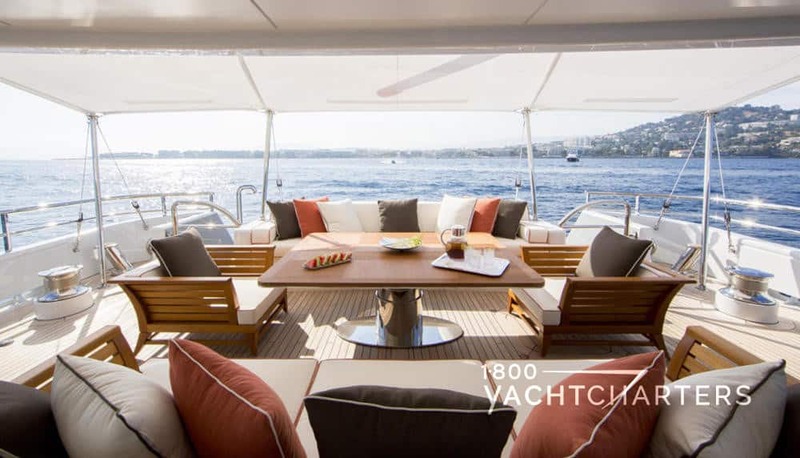 The refreshing interior styling of Italian architect Laura Sessa flows from inside to out, allowing luxury mega yacht charter clients the opportunity to make the most of outdoor living, when the climate permits. 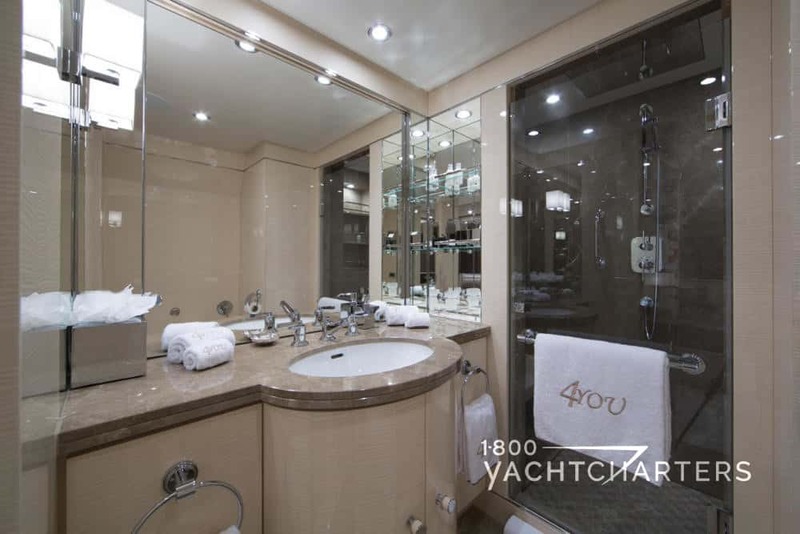 There are accommodations for up to 12 guests in 6 staterooms. 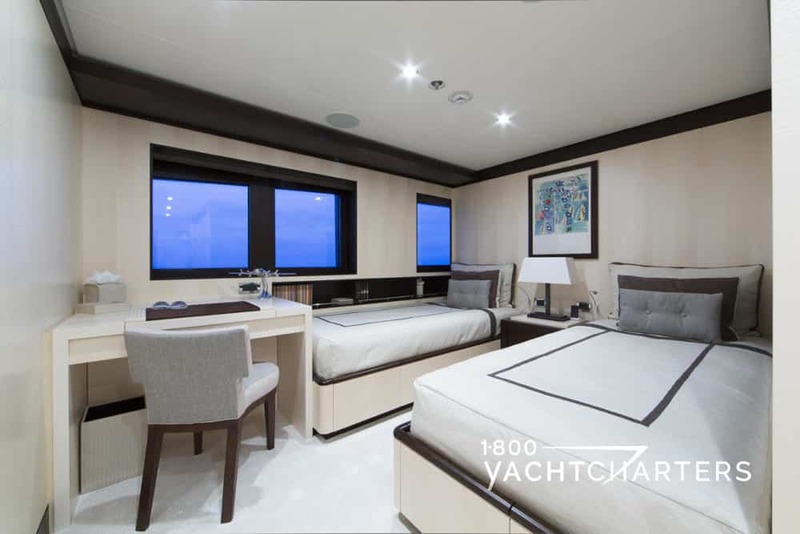 The full-beam master stateroom is situated on the main deck, along with an adjoining twin cabin – perfect for families. 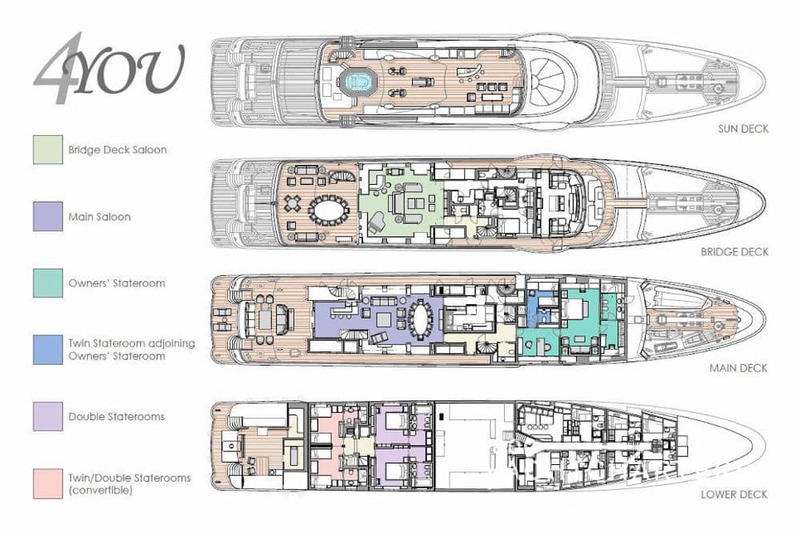 Two queen double staterooms, along with two twin staterooms are on the lower deck. 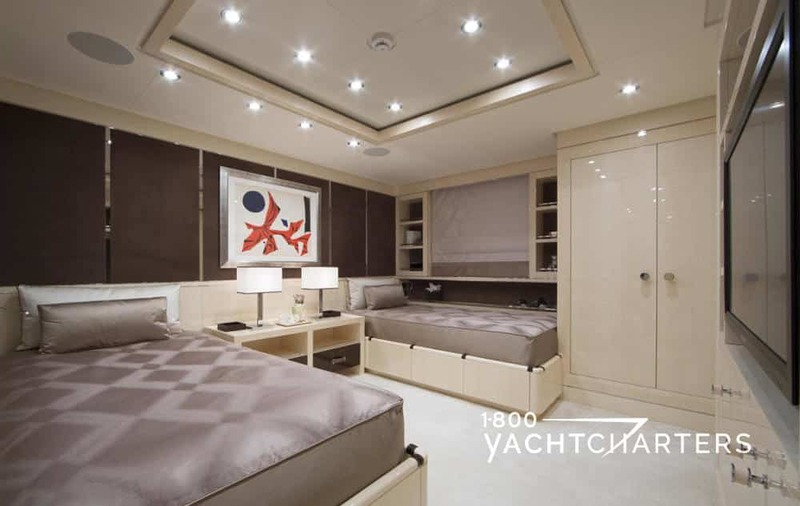 The twin cabins can be converted into queen doubles if required, offering great flexibility for guests. 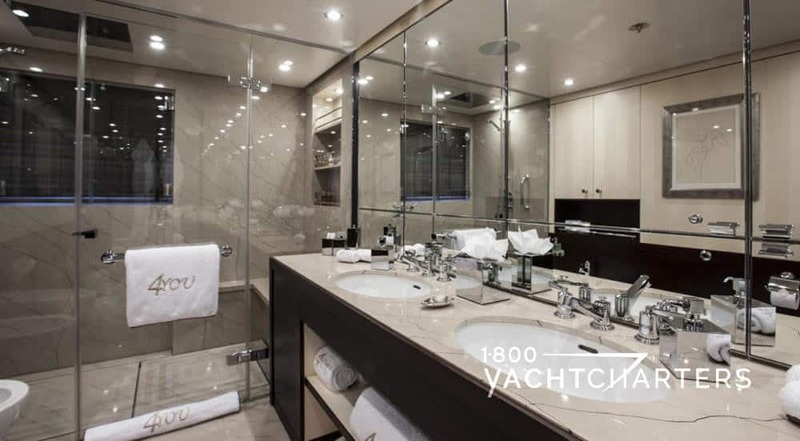 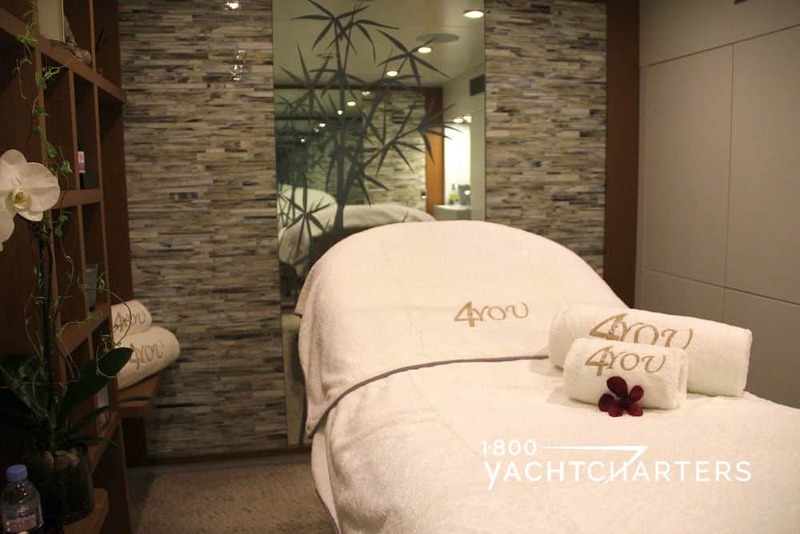 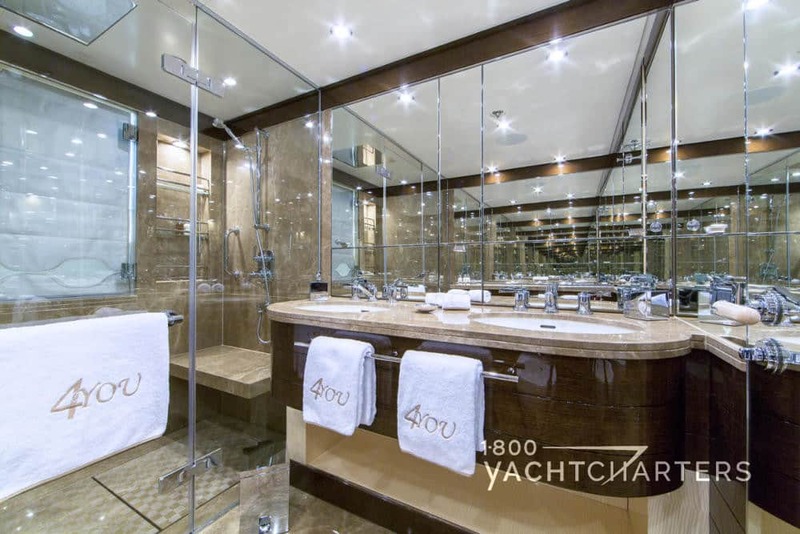 All staterooms feature marble en-suite bathrooms and state-of-the-art audio visual systems. 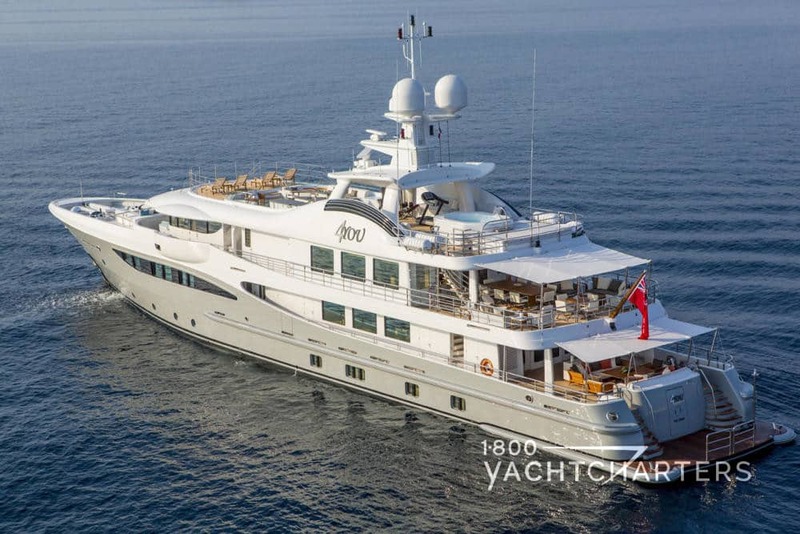 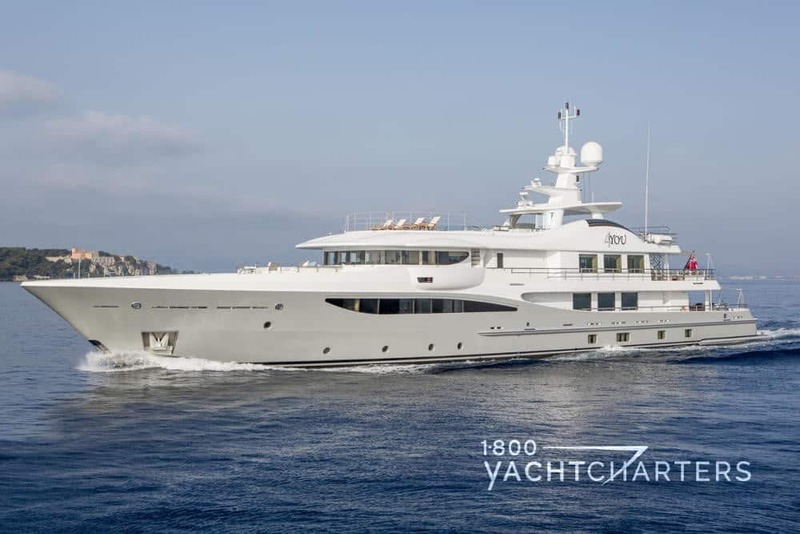 Other yachts built by Amels and offered for hire include motor yacht MARLA, yacht BELLE AIMEE, Amels yacht SPIRIT, and the 65 meter Amels motor yacht IMAGINE. 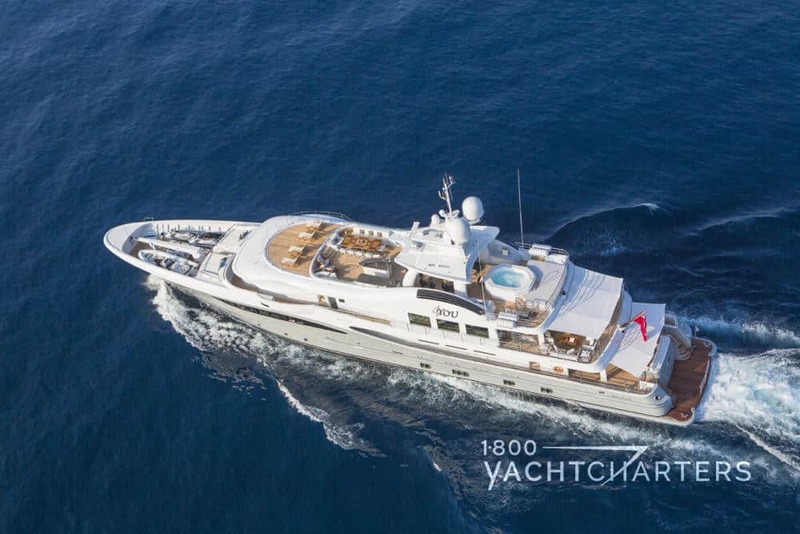 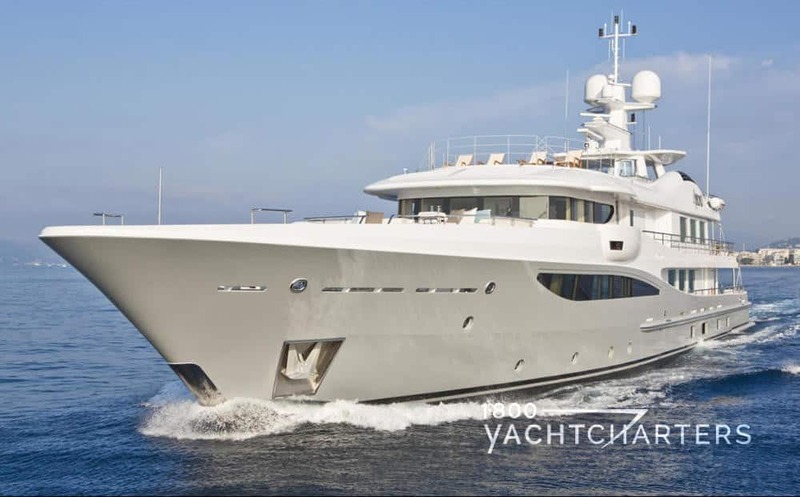 Simply conduct a search by Amels or by each yacht’s name on our website to access these other yachts! 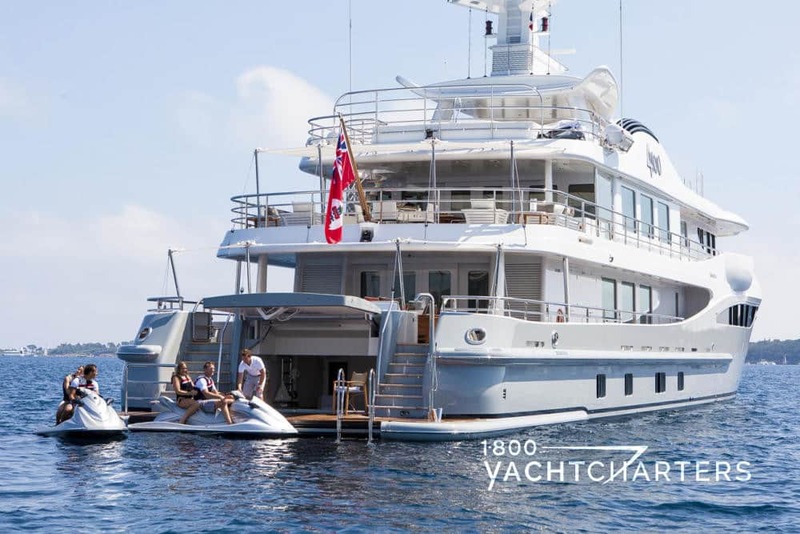 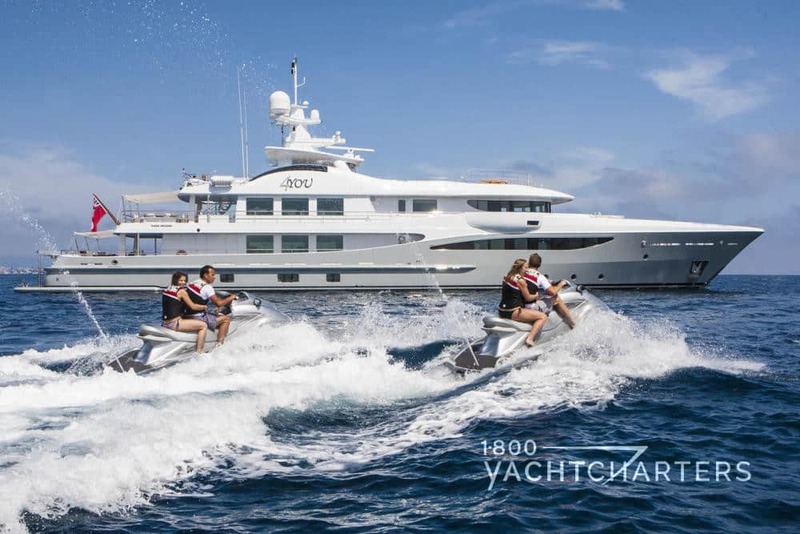 Contact us at https://www.1800yachtcharters.com/book-now-contact-us/ if you have any questions about passports, country requirements, or chartering your own private luxury superyacht.